﻿ What if a skunk got inside my house, bedroom, kitchen, etc.? What if a skunk got inside my house, bedroom, kitchen, etc.? One of the most frustrating situations that you may have to deal with is if a skunk got into your home. It is never a pretty thing dealing with a wild animal inside your house and you should take time to evaluate the situation and choose the best possible solution. The main way that a skunk can get inside the house is by using the door if it is left open. It is highly unlikely that the animal will use the window because skunks are known to be really bad climbers. 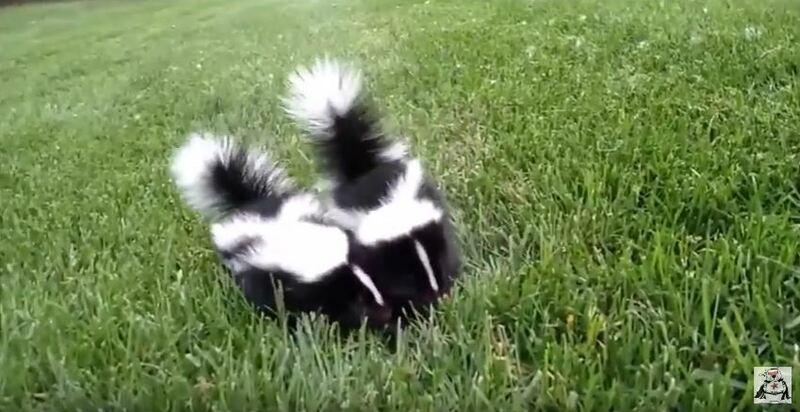 A skunk is one of the worst wild animals to deal with because if you provoke it, it will spray all over your house and after you have it removed, you will still have to deal with the strong stench that will be inside the house. It may get even worse if you have pets. Dogs may frustrate the animal further and this may make matters even worse. If you find that a skunk has gotten inside the house, the first thing to keep in mind is not to panic. When you panic, you make decisions that may make the process more challenging for you. You may try to lure the animal out, but this may not work and there is nothing worse than having a skunk that is agitated inside your home. One of the ways in which you can try to make the animal leave is to leave the doors open and create an environment that it won’t like. Try creating noise within the house – this could be in the form of a radio. Leave the lights on within the house. To be sure that the skunk has actually left, you should put a flour strip that is around six inches at all the exits that you leave open. If the skunk is within a specific room that has a door leading outwards, this will make the process easier. Close the inner door and then open the outer one, leaving the lights on. This can encourage the little visitor to leave. When you have a strip of flour, you will notice the footprints of the animal as it leaves. The other thing to do is to make sure that you keep all your pets away so as to avoid irritating the animal further. If you aren’t sure of what to do, you can get an emergency animal trapper to get the animal out. Go back to the How to Get Rid of Skunks page or email us if you have any other questions about What if a skunk got inside my house, bedroom, kitchen, etc. ?